MGX Minerals Inc. (OTCQB: MGXMF) (CSE: XMG) reports that joint-venture partner A.I.S. Resources (“A.I.S.”) (TSX.V: AIS) has announced completion of the first TEM (Transient Electromagnetic Survey) geophysics profile at the Salinitas JV Project (the “Project”) in the Salinas Grandes Salar, Salta Province, Argentina. 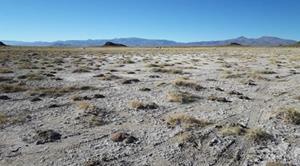 The TDEM geophysical survey was conducted across 52 stations at 500-meter spacings totaling approximately 26 kilometers. Interpretation of the first profile suggest that potentially substantial aquifers exist over a 3 km x 2km x 180m depth area. 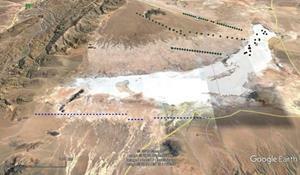 Salinitas Project, Salinas Grandes – Blue dots represent survey lines along 26km. How can your company maximize your investment return in #lithiumextraction and processing?